The area: Providence food has been getting better and better over the last 3 years I’ve been here. This goes hand–in-hand with the economic renaissance of Rhode Island’s capital, epitomised by Providence’s shopping arcade, the oldest indoor mall in America. Shuttered when I first arrived in 2010 due to the financial crisis, it is now slated to re-open later this year, with a slew of new restaurant offerings. I don’t know why the recovery has been quite strong in Providence, but I hypothesise it is due to a (A) vibrant college scene (Brown, RISD, Johnson & Wales, Roger Williams, Bryant, Providence College) and (B) spillover effects of increasing biomedical research from the greater Boston region: Brown, for instance, announced an increased investment last year in the Jewelry District to create engineering jobs. Certainly the restaurants opening in the past 2 years (e.g. flan y ajo) have been hipster-ish restaurants, appealing to a younger crowd. 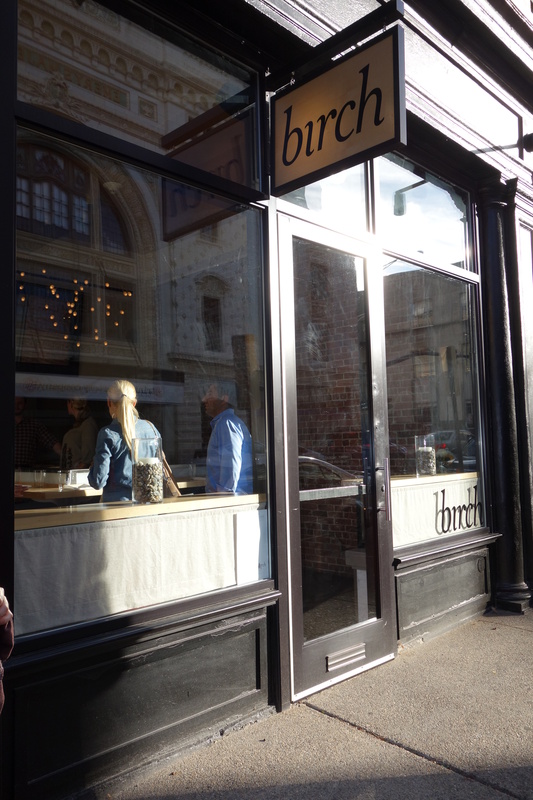 The restaurant: birch opened stealthily over the summer, when Chef Ben Sukle decided to strike it out on his own. 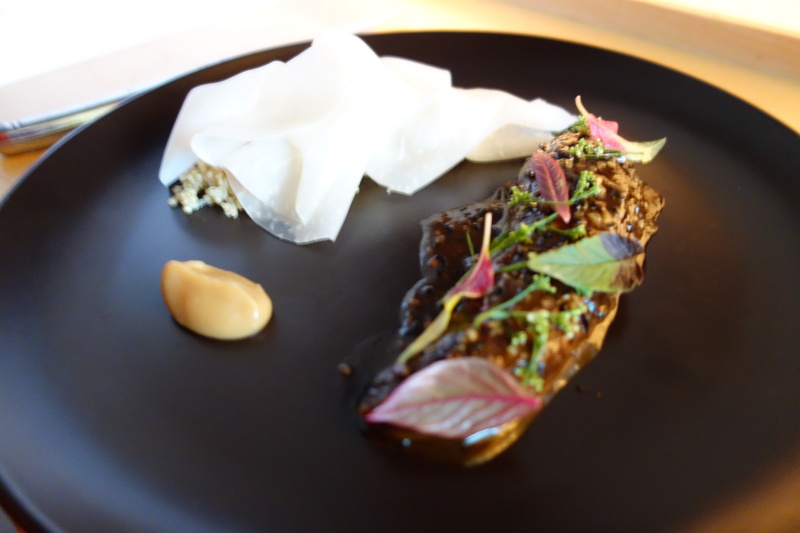 The Dorrance, which was chef Ben Sukle’s previous stage, made the list of Opinionated About Dining (OAD)’s top 100 restaurants in the United States. It was thus with high expectations that I entered birch. Ben Sukle previously worked with Matt Jennings at La Laiterie, another of Providence’s interesting New American restaurants. 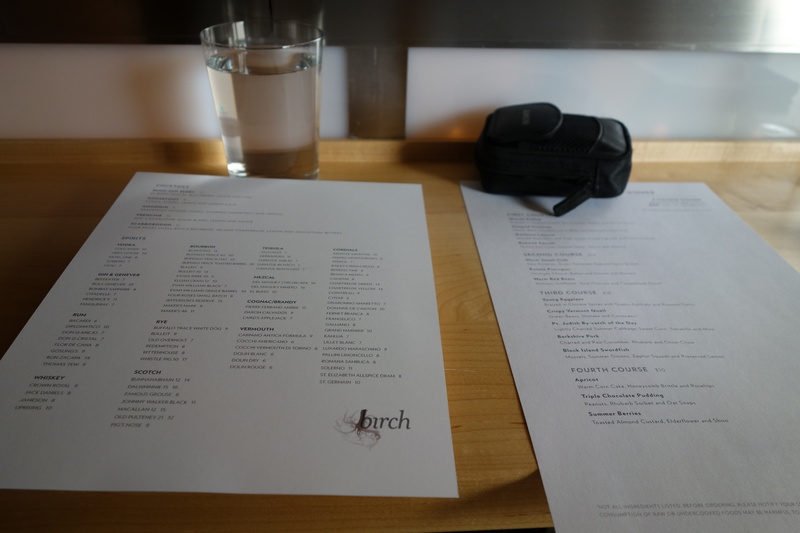 The following is a compendium of 3 meals I had at birch over 2 weeks. 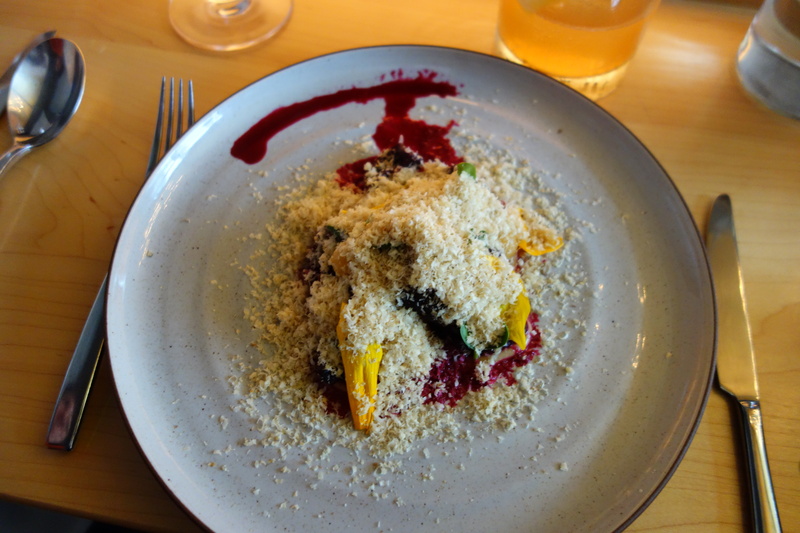 I shamelessly took photos of all my friends’ dishes, but I will only rate those I ate. 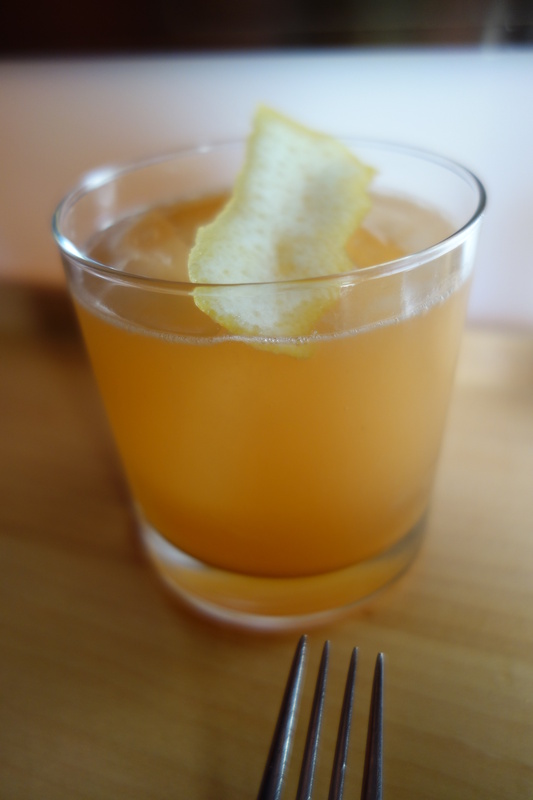 A cocktail that starts off fruity and citrusy, and then ends up deep in bourbon land. 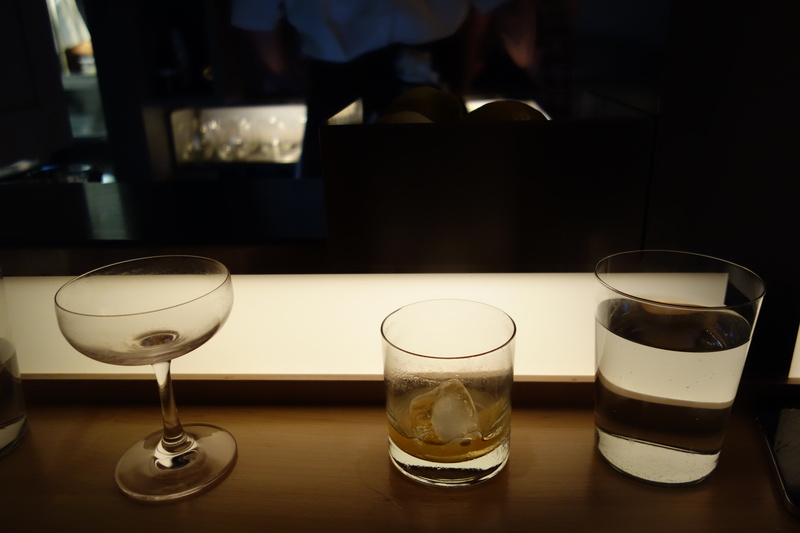 Highly recommended, the famously skilled Dorrance cocktails have followed chef Sukle to birch. A good snack of fried cornmeal. 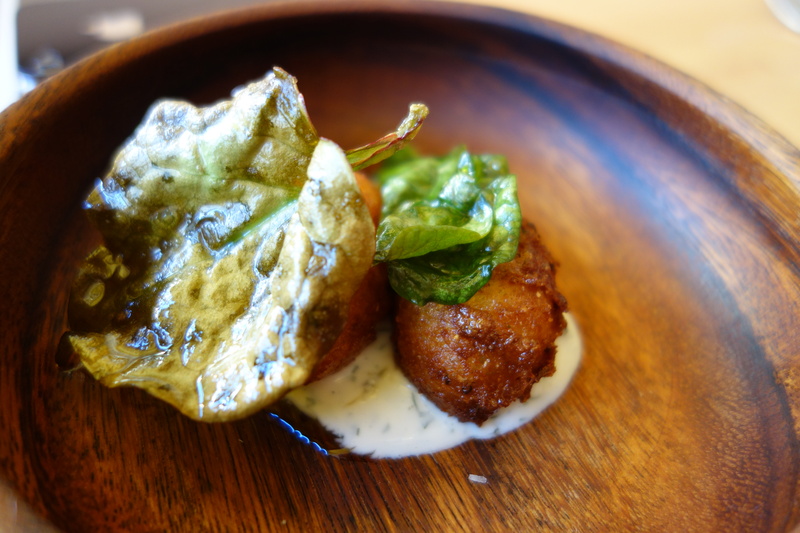 A heavy-light dish of scallops in aioli sauce. Hearty. 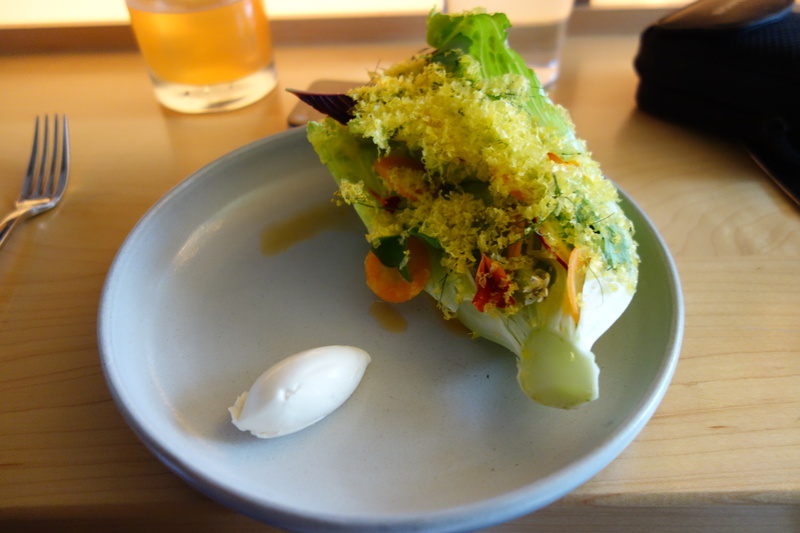 What was interesting about this dish was the promise of an interesting lettuce taste. To this diner however, the lettuce tasted largely as iceberg lettuce might taste. I found instead the shaved cured egg yolk interesting, being very bottarga-like in texture (a type of shaved fish). Apparently, it is cured in salt and sugar for 2 days, before being shaved over the lettuce. Vegetable cooking of the highest order. 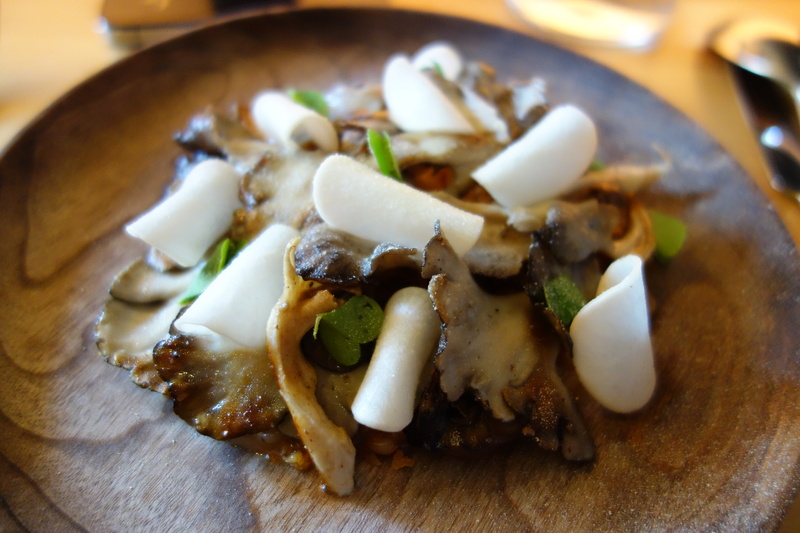 This dish could have slid straight into service at l’Arpege [my post]. Beets are first dehydrated, and then rehydrated in lavender vinegar. The subtle sweetness of sunflower petals accompany the sunflower seeds, covered with a hearty helping of warm shaved walnut. 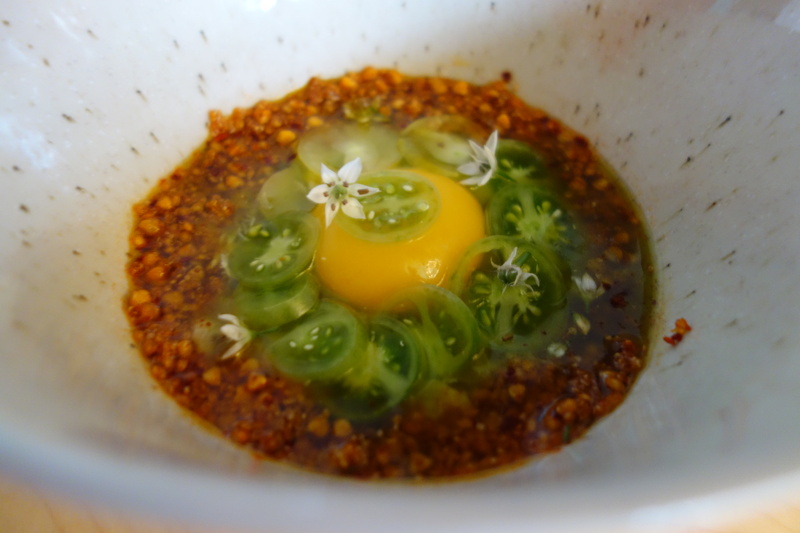 Somewhere in that pile, there is also caramelised onion puree and the best, sweetest gooseberries I have yet tasted. Spectacular. A riot of colour. This was my friend’s dish. From what I tried, I concurred with him that it was decent but unspectacular. 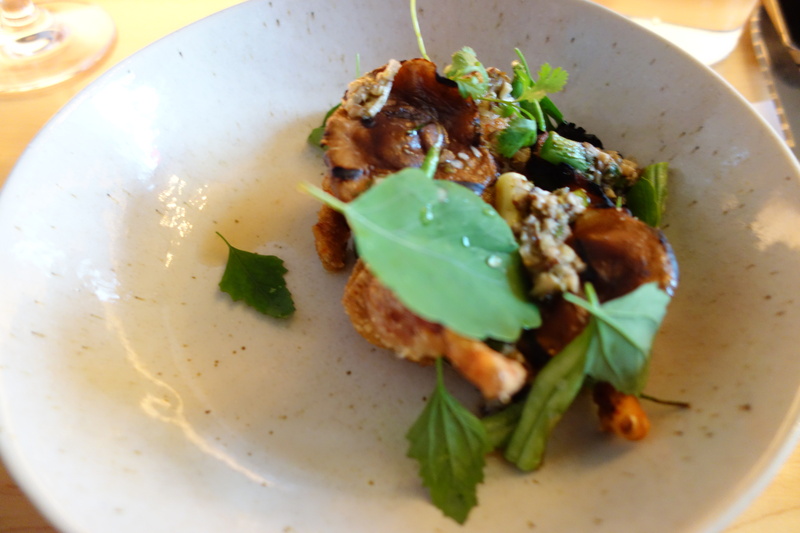 A flavorful eggplant with mushroom jus, that my friend had. 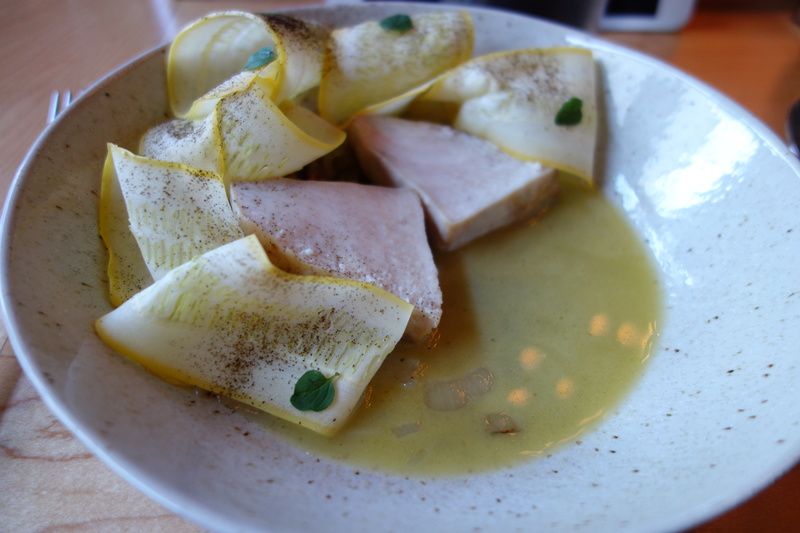 Required a little bit of self assembly with slices of eggplant being topped with shaved kohlrabi and a garlic sauce. I quite enjoyed it. 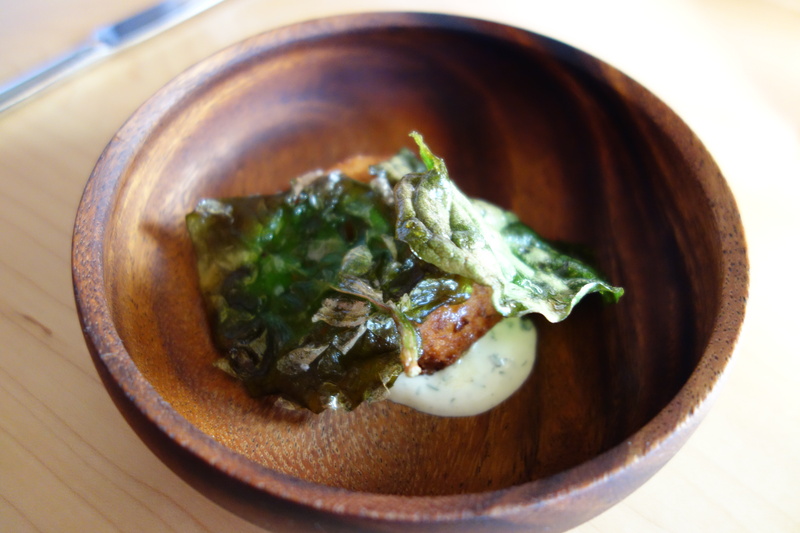 A delicious quail schnitzel, marinated in dill pickle juice (!). The sourness gives it a kick, which begs the question – why don’t more people fry their poultry with pickle juice? A thought-provoking combination. Went very well with the mushrooms. Green beans didn’t add much to the dish, but the intriguing herbaceous tastes of at least 2 different types of coriander did. I quite enjoyed what I sampled of my friend G’s dessert. 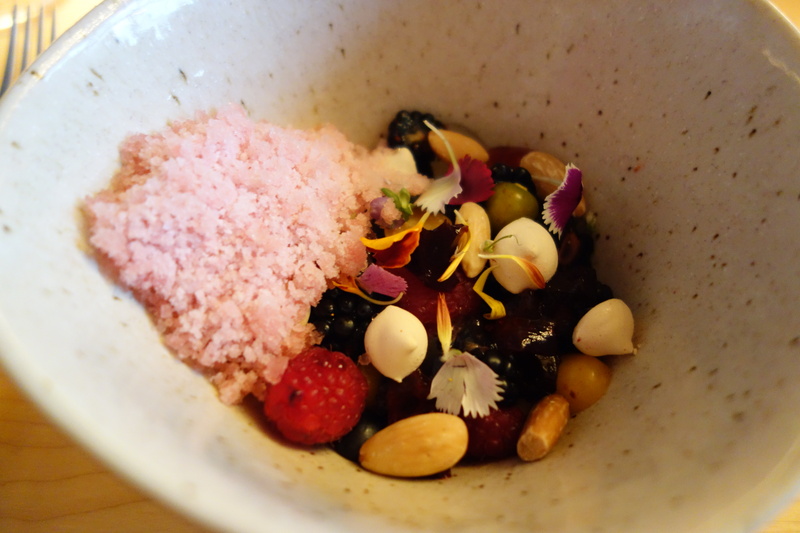 A delicious spoonful of summer in every sweet bite, with scattered elderflower meringue bits in the bowl, shiso granita, and at the bottom, a delicious almond custard. The berries and the custard do the heavy lifting here, but this dish is perfect. To avoid repetition, I will just highlight the novel dishes. Garlic bread is blended (!) and made into a paste. Several types of basil. 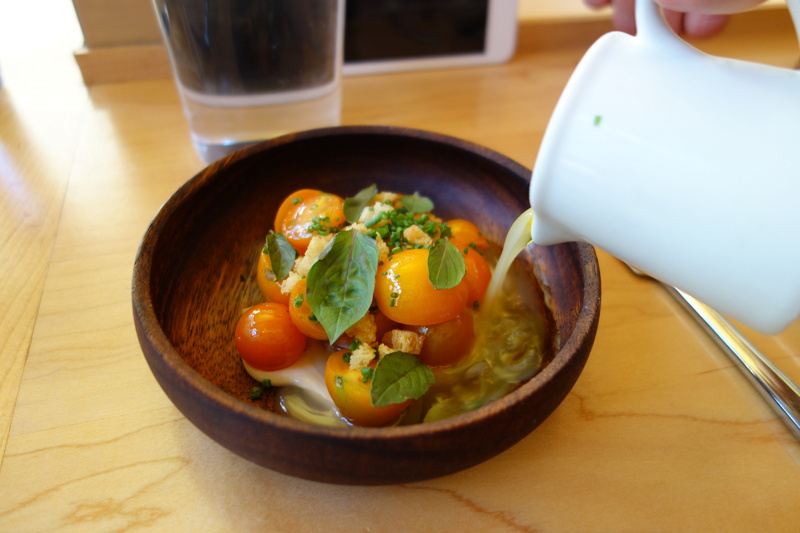 A sour whey dressing is poured into the bowl. 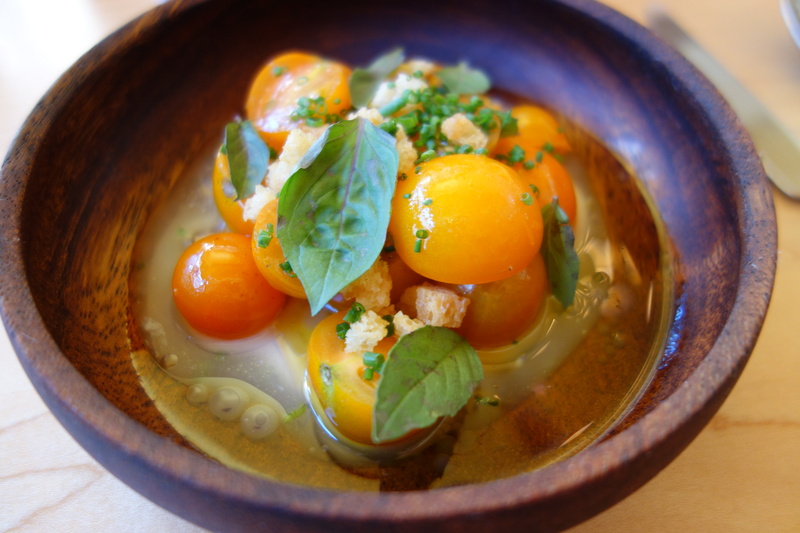 I felt this dish was inventive in the technique, but the Sungold tomatoes did not have the complexity of flavour to anchor this dish. The whey dressing was also very sour to my taste. A spare plating, with carrots served two ways, first fermented and sliced, sandwiching grilled surf clams to the second way, a whole carrot roasted; with almond toasted milk. 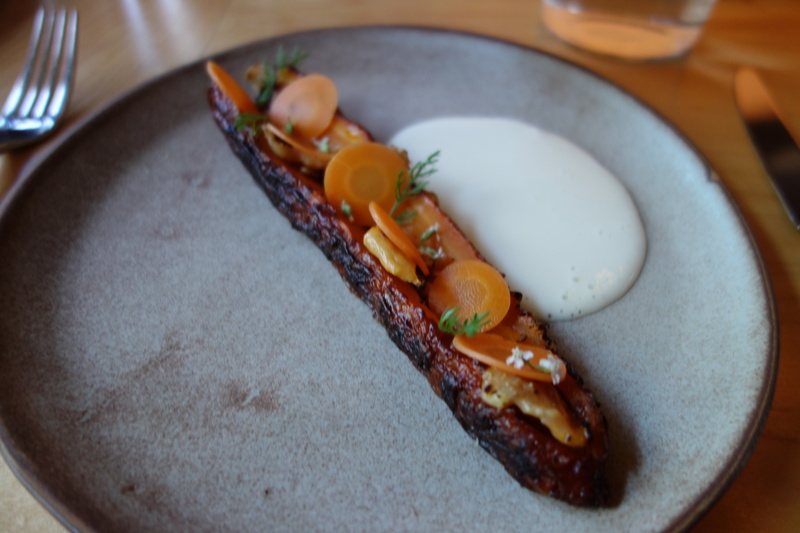 The charred outside of the carrot tasted great, the inside less intense in flavour, but was rescued with salt from the surf clam. A great presentation, taste-wise could have used less fermented carrot. Fantastically delicious. 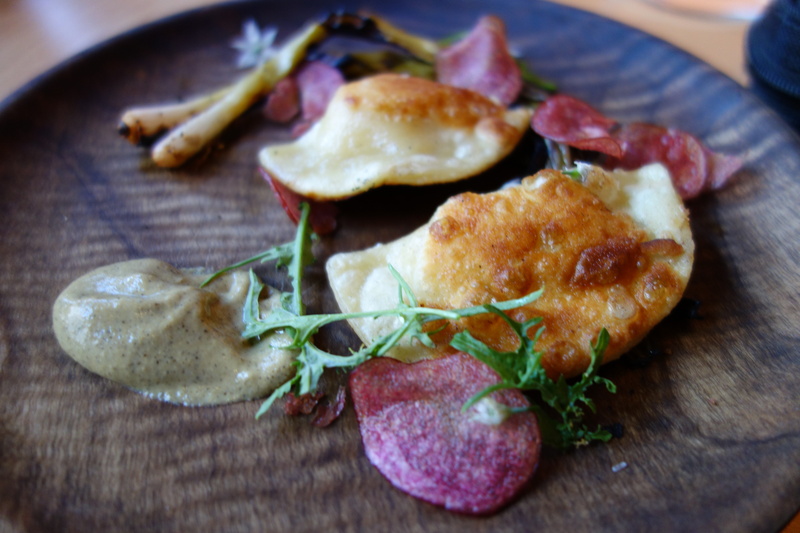 Pink potatoes are slivered and fried, served with seared pierogies, and a mustard-onion sauce. 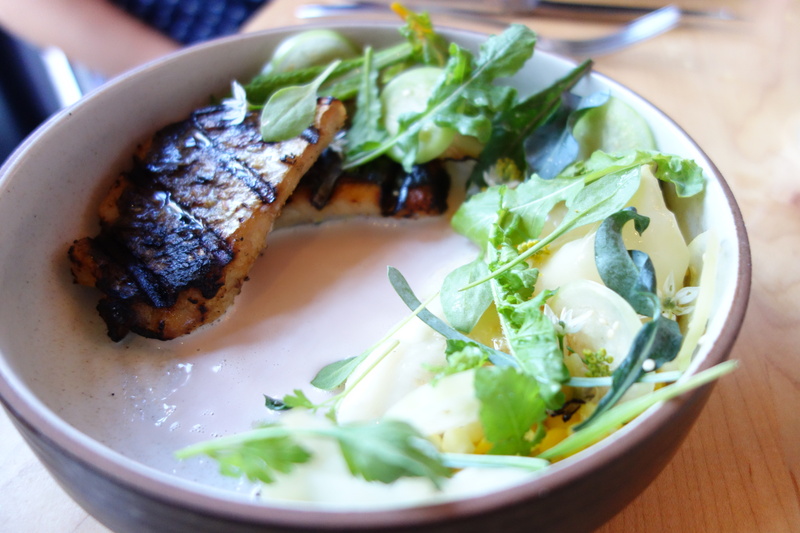 Charred pickled spring onion garnishes the plate, the sourness cutting through the richness. Well-executed swordfish (i.e. perfectly cooked) in a lemon sauce. From what I tried, a skillful handling of whitefish. The charring was perfect (again). Three types of chocolate mousse. 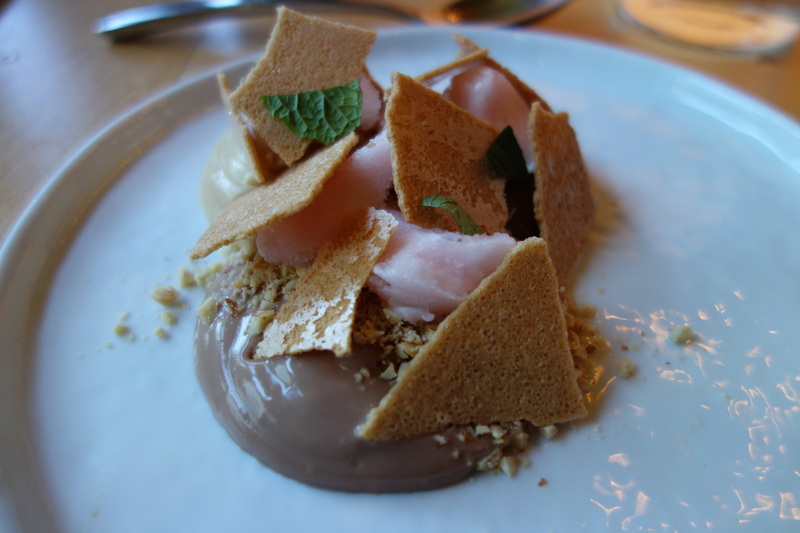 What made it interesting was the pairing of rhubarb with chocolate. Refreshing. 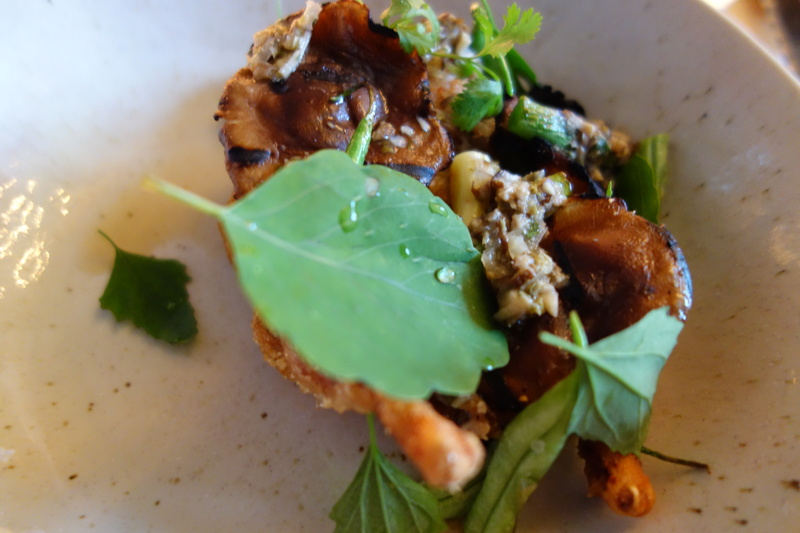 Wheatberries, the entire kernel of wheat excluding the husk, had the inviting temperature of a warm risotto, and the pairing with earthy Hen of the Woods mushrooms was delicious. 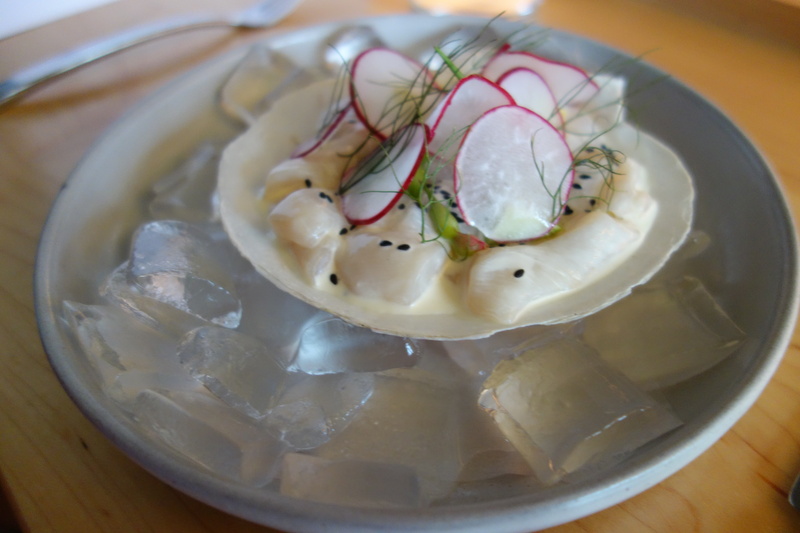 At this moment, birch is on the top of my list of Providence restaurants. With cooking this inventive and whimsical (pureed garlic bread! ), it is inevitable that there are going to be dishes that delight the diner, and others that leave the diner cold. 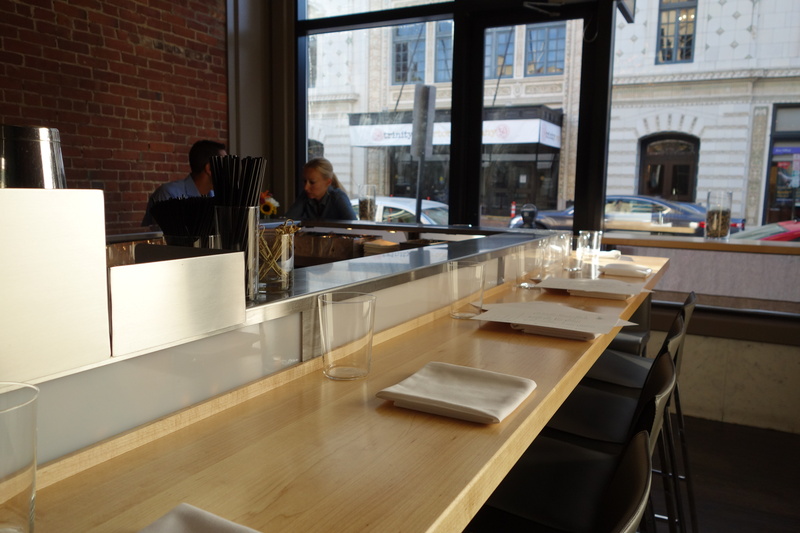 For the inventiveness that birch has brought to the Providence dining scene (and it is a breath of fresh air), I expect a bright future for the restaurant. I predict that their experimental attitude, and refined standards of vegetable cooking, will soon bring birch nation-wide renown. 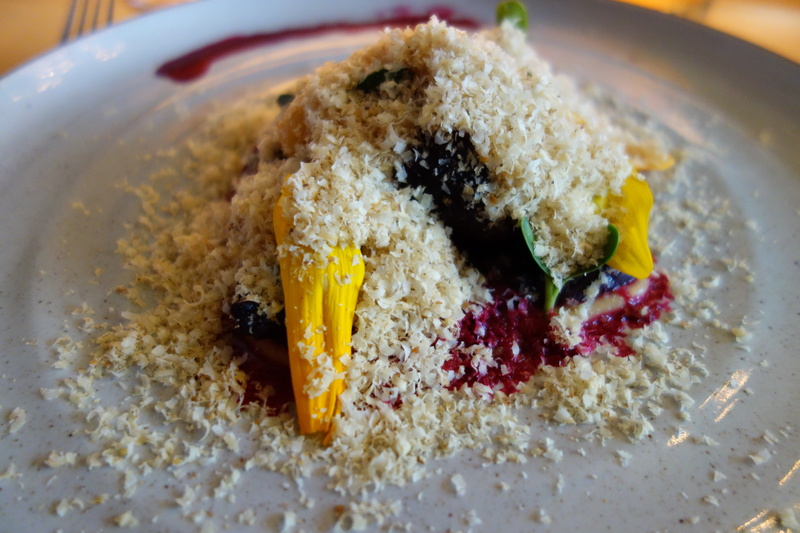 Memory: Warm Beets, Summer Berries, Hen of the Woods Mushrooms, Quail Schnitzel, Scarborough cocktail. Further innovative combinations from birch.